I received an email from Station Pizzeria that they are closing at the end of this month. I wish them well. Join in the final days, May 29th-31st. Below is the email. Help us kill the kegs, eat every last slice, and send our owners, Kent and Cindy off in style! We would also love to see your photos and memories on our Facebook page. This is a piece I've had cooking on the stovetop for quite a while, but where could it be served up? The answer is, in Lucky Peach. In it are the secrets to life without conventional chopped liver, and more secrets bared about my family. All I can say is that it's a good thing my mother doesn't know from the internet. I first fell for Lettie' Teague's new book, Wine in Words: Notes for Better Drinking (Rizzoli Ex Libris. $29.95) because of its looks. Was I that shallow, I wondered. With its vintage typeface, it's sturdy dust-jacket free, embossed cover in butter-yellow, the feel of the book in hand felt like a legacy. So, I started to fan through this collection of essays, and then sat right down and started to read the 40+ short pieces. I am fond of my colleague, Lettie, the wine columnist for the Wall Street Journal. It's true that she and I often don't exactly see wine through the same lens. We often have agreed to disagree. This was reinforced several times over in the book, and I have come to understand that is just the way we are built. She is a natural ectomorf. I'm, to my dismay, an endo. Turns out her book is neither memoir nor wine guide, but a selection of thoughts and whims Teague believes the wine drinker should know. The book is organized capriciously enough. With no particular arc, it's sectioned off into three parts. +Fun to Know. +Need to Know. +Who Knows. But even if I feel some fun to knows are need to knows and vice versa, the more I jumped into it, the more I appreciated how her prose sat on the juncture of, let's say, A.J. Liebling meets Judith Martin. It's when Lettie effortlessly steps into a Miss Manners role she is most charming and even sage. Each entry is no longer than a blog post. For today's texting attention span these are measured spoonfuls for those who have not yet worked up to reading the full meal of wine encyclopedias for sport. I imagine that she really could guide reader and a drinker through blunders that no one wading into the wine swamp wants to make, especially the beginner who fears looking like one. For example, in her discourse on the wine glass, she professes her love for the Zalto (check!) and artfully dismisses the notion that a glass is needed for every country and variety. We all have tried to fake it at one time or another, like the time I truly had no idea who Pierre Overnoy was and sensed I couldn't admit it. Likewise, Lettie confessed in the Pitfalls of Pretending, about the time she claimed to have tasting knowledge of a wine in a certain vintage. Turns out the wine was not made in that year. She also recounted the tale of a misguided sommelier who when confronted with a customer request for the sold out gewürztraminer, offered a 'similar' wine. The replacement was an ill-advised sauvignon blanc. The grapes bear no similarity to each other except perhaps they are both aromatic, even if they boast different aromas. Moral of the story, there's no humiliation factor in learning. Or as she penned, "Better to be an ignoramus than a fraud." It's these little stories, told with no artifice, with old-fashioned advice that I find fresh. There are still the moments when I shake my head, "Oh, Lettie!" Such as her entry on orange wines, Orange is the Old Black. There she address skin contact wine as a fad ( of 8,000 years? That's more a rediscovery than a fad, methinks.) though I did learn from it that a few "oeniphiles" believe orange mean that the wine has been infused with the citrus fruit. But when reading one of her final pieces, Worst Wine Word, I had another revelation. Lettie, believes the worst wine descriptor to be 'smooth.' As it turns out smooth is a bit of a bête noire for me, and its use annoys me almost irrationally. And as she wrote, "A wine--like a person--requires a bit of friction to be interesting." It was then I understood that Lettie and I actually do agree more than I had ever given us credit for. Canada has a beef with the US. They’re pawing the ground and seeing red. Red wine, that is. Such a dispute is rare for the two NAFTA countries that share the longest undefended border in the world. The meat of the matter is, well, meat. Canada–and Mexico–complained last year to the World Trade Organization that US regulations were burdensome and discriminatory. The regs require that certain cuts of meat state on the label where the meat was raised (they are known as “country of origin labeling,” or COOL in the language of trade negotiators). They won last year and the US, as is our wont, appealed. Yesterday, the WTO ruled against the US. This is where the wine comes in: if the US still doesn’t drop the labeling requirements, Canada will levy retaliatory tariffs! And they will be putting US wine in the bull’s eye of their targets! (Oh, and other things like potatoes, chickens and car parts.) Apparently, US wine sales in Canada amount to $1 billion retail according to one commentator–but given Canadian wine retail markups, that probably amounts to $200 million from US wineries. Still, the wine producers represented by the Wine Institute are fighting mad. “In Canada it has taken decades to build the market for U.S. wine, and it could be irreparably harmed in an instant if Congress does not act [to repeal or amend COOL],” Robert P. Koch, president and CEO of the Wine Institute said in a press statement. Oh. Congress. Good luck with that. The post Canada’s beef with American wine appeared first on Dr Vino's wine blog. Have you ever wanted to check out exactly where your favorite domestic wines come from? You can take a look at aerial photos (exciting–grapes! 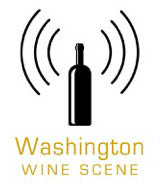 ), see block-by-block vineyard maps and get tons of geek-out info about vineyards on the site everyvine.com. Seriously, you can now impress your friends with not only the precise location, grape varieties, and topography, but also the growing degree days vs. the biologically effective growing degree days–oh my, you will be the life of the party! I searched Rhys Skyline vineyard and found that everyvine even rates vineyards top vineyards with gold, silver and bronze medals–except for Skyline, which they rate platinum! Their algorithms even rate vineyard blocks. They don’t have every vineyard in America in there and I haven’t done a thorough analysis of how their rankings stack up. But it looks impressive and like something you could really get lost in for a few hours. I read about it today in a post on Wired.com. The post Wonk out with vineyard maps appeared first on Dr Vino's wine blog. Join the celebration of the Walter Clore Wine and Culinary Center’s one year anniversary! The anniversary celebration is set to take place on May 30th at the Walter Clore Wine and Culinary Center at 2140 Wine Country Road in Prosser. Enjoy extended hours, live music from 4-7pm by the Kevin Selby Experiment, fresh fare, special glass pours, and event ticket giveaways! 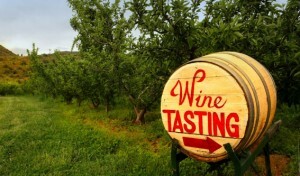 All weekend a special $1.00 tasting fee will be offered, so bring your friends for a fantastic weekend event. With support from private and public contributors and the Port of Benton, the Clore Center opened its doors to the public on May 31st, 2014 with a Grand Opening celebration. The Clore Center is open for tasting 11am-5pm daily. Please call 509-786-1000 for more information. Other event information available at www.theclorecenter.org. A collection of award winning wines, mouthwatering fare, vibrant paintings, and ballroom tunes will be showcased during Vintimate at Kirkland’s Heathman Hotel. The Thursday, May 14 event, to be held from 5—8pm in the San Juan Ballroom, offers guests the opportunity to view the original artwork of Northwest artist Fred Lisaius, sip on DeLille Cellars 2012 D2 and Doyenne AIX, while listening to a great mix of songs by local guitarist, Tanner Long. Executive Chef Scheehser has crafted a seasonal selection of tastes inspired with freshly picked items from his 18-acre farm, as well as other local farms. As a visual artist and sculptor, Lisaius uses the forums of nature to explore the relationship between people and the natural world, with an interface of community, diversity, harmony, exploration, discovery, and change. His artistry can be found in Seattle at the Patricia Rovzar Gallery and the Seattle Art Museum Gallery, as well as Schomburg Gallery in Santa Monica, CA. Lisaius’ art pieces will be on display at the Heathman through the end of May 2015, and are available for purchase. DeLille Cellars is a boutique artisan winery located in Woodinville, Washington. The mission at DeLille Cellars has always been to create a new Bordeaux blend using Washington state vineyards. From the beginning, the winery has looked towards the prestigious Red Mountain AVA as the foundation of its wines, using grapes from its own vineyards in combination with fruit from other top sites in the Yakima Valley. The Vintimate Social is a 21 and over event. Tickets are offered at $30 per person in advance and $35 per person at the door, with both price options inclusive of tax gratuity and commemorative glass. To purchase, call (425) 284-5858 or email events@heathmankirkland.com. The AAA Four Diamond Heathman Hotel provides guests with a seamless fusion of modern luxury and uncompromising service. Located on Seattle’s Eastside, in the upscale community of Kirkland within steps of Lake Washington’s shoreline, shopping, entertainment, and the arts, the Hotel features 91 luxurious guest rooms—a perfect respite from the city. Rated the world’s 88th best property by Conde Nast reader’s, The Heathman has also been listed on the magazine’s Traveler’s Gold List and featured in U.S. News & World Report’s Best Hotel Rankings. A member of the Preferred Hotel Group, for reservations and information visit www.heathmankirkland.com or call (888) 264-5494.